Union Veterinary Clinic provides a variety of routine and elective surgical services. Surgeries are performed Monday, Tuesday, Wednesday and Thursday by Drs. Mortola, Cornett, Gross, and Cohen. Availability may be limited, so please call us at 202-544-2500 1-2 weeks in advance to schedule your pet’s surgery. Please inform the receptionist which veterinarian you prefer to perform your pet’s surgery. The link below will take you to a more detailed brochure outlining everything you need to know about your pet’s surgery. This is done for your pet’s safety and to make sure that your pet’s internal organs such as the kidneys and liver are functioning correctly. We utilize the safest available anesthetics to provide that extra margin of safety, especially for our older or high risk patients. 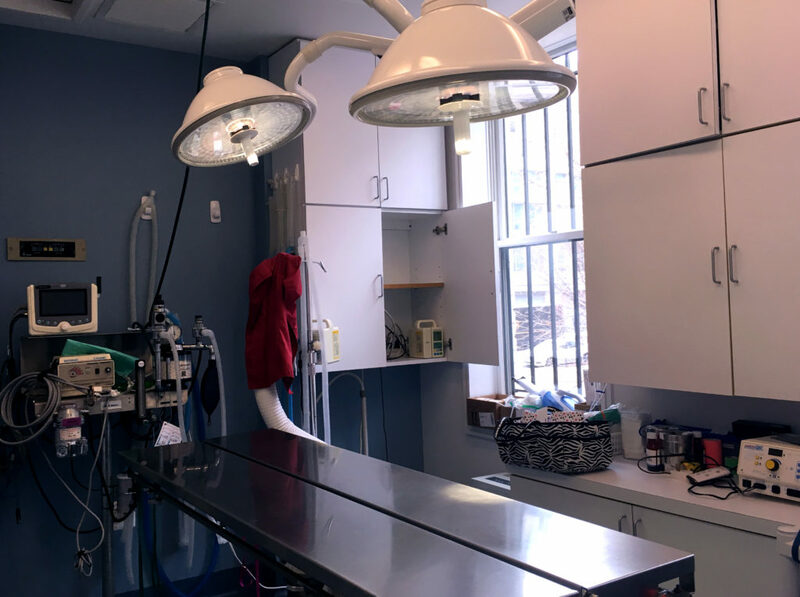 Using the most modern equipment on the market, the patient’s vital signs are monitored during all anesthetic procedures by the veterinarian and surgical technician.